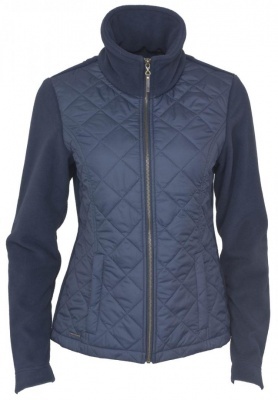 Asenby is a fabulous zip through fleece jacket with flattering seam lines. Crafted from anti- pill fleece and featuring quilted woven front panels. A discreet ingot at the front and a leather patch at the back give this style a sophisticated, country look. Zipped pockets ensure that valuables are kept safe. Perfect as a cover up on cooler days, or for curling up with a coffee on a wet weekend afternoon.